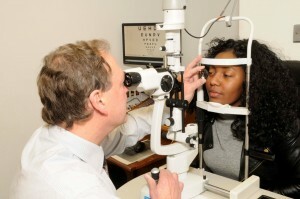 A detailed examination of the eye can reveal conditions such as high blood pressure or diabetes. 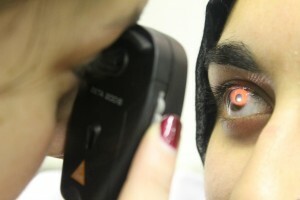 Optometrists make a health assessment, offer clinical advice and when necessary prescribe spectacles or contact lenses. 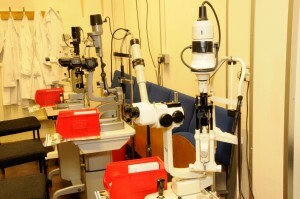 In addition, optometrists can dispense, fit and supply spectacles or contact lenses. If you’re internationally trained as an optometrist (i.e. in a country outside of North America), and you wish to return to practice in Canada, you need to complete the International Optometry Bridging Program (IOBP). So it’s still possible to practice optometry in Canada, there’s just an extra step required. 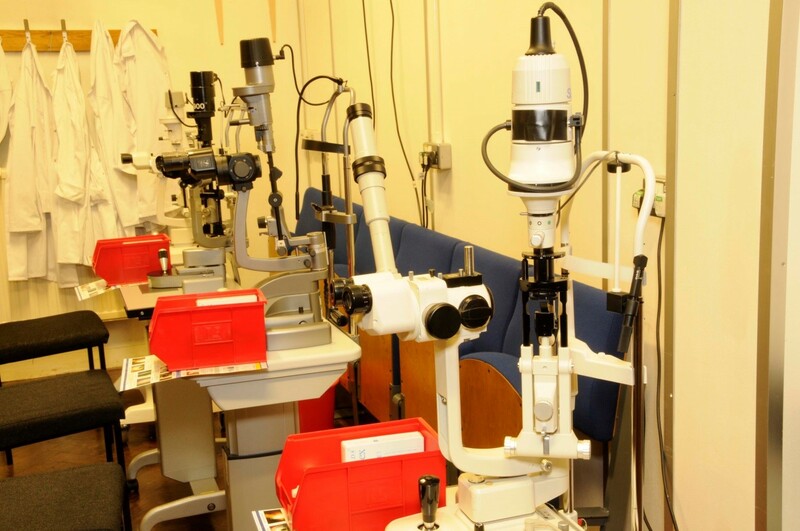 UK optometry schools offer BSc and Masters programmes, both of which will prepare you for entry to the IOBP. Credentialing information for entry onto the IOBP can be found at http://forac-faroc.ca/. The IOBP is either 2 months or 1 year (depending on how you do on the entry exam), then after that students are required to write the Canadian board exam. I am confused about which programme I need to apply for. 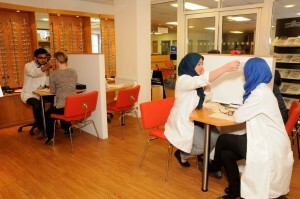 Do I need to do the ‘BSc Optometry’, ‘MOptom’ and ‘Doctor of Optometry’? Completion of the Scheme for Registration, which usually takes around a year (students are based in an optometric practice anywhere in the UK and are paid during this year). 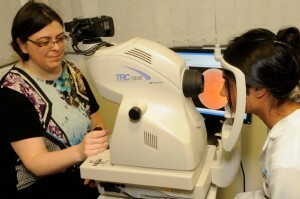 During this year, students sit professional qualifying exams that are set by the College of Optometrists. Once these exams have been passed, the student can apply for registration with the General Optical Council. 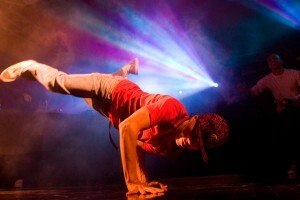 Some universities offer the opportunity to study for a Master’s rather than a BSc. For example, at Aston University, students on the Master’s of Optometry (MOptom) programme remain enrolled at Aston as distance learning students while they are completing the Scheme for Registration. They start the Scheme for Registration at a practice in the UK at the same time as the BSc students, but while they are working as pre-registered optometrists, they also complete distance learning modules as part of the Master’s programme. The cost of this year is the same as the other three years of the programme. One of the additional advantages to international students of doing the MOptom is that currently, they do not have to apply for a work visa in order to progress onto the pre-registration placement (although it is worth checking the visa situation when you apply). By completing a Doctor of Optometry, like the one offered at Aston University (So, in the UK, optometrists complete their Doctorate post-qualification, if they want to. What are their preferences on re-taken classes? I know that Waterloo averages the two and American school take the higher of the two. 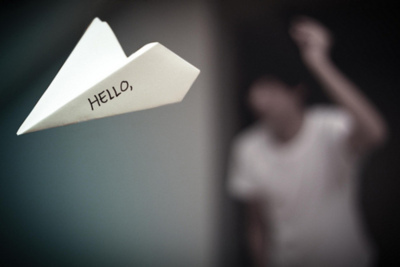 It is best to the Admissions Team at the university you are interested in about your specific circumstances. 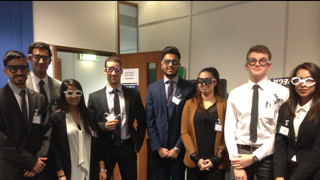 Besides being able to explore a place halfway around the world, are there benefits to studying optometry in the UK? One benefit of going to the US was that you don’t have to do the IOBP when you go back to Canada. However, studying in the US is more expensive, and in my opinion it wasn’t as exciting a place to live for 4+ years. There are about 10 Canadians at Aston in my year (first year), and we all really like it so far. There’s a lot of hands-on experience, and the professors really care about you doing well. 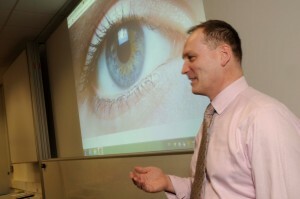 I’m currently on a Masters of Optometry program, rather than the BSc. So, the program is normally 3 years to get your BSc, and then you must complete a 1-year placement, called a pre-registration year as part of the Scheme for Registration. To get your Masters, you’ll be taking online classes while doing the pre-registration year. It’s most definitely worth it to do the Masters, because it gives you necessary information on Ocular Therapeutics, which you’ll need to go back to Canada. Also, with the Master’s program you’ll still be in school during the pre-registration year, so you can stay on your student visa (rather than applying for a separate work visa). It is worth checking whether the school you attend is one that is accepted for OSAP funding, if you’re from Ontario. In terms of going to Australia for optometry school, the same thing applies regarding tuition fees – it’s much more expensive! I was actually debating between the UK and a school in Australia, but decided against Australia for a few reasons. First of all, the tuition fee is much higher. On top of that, living costs and travel/flight expenses are more as well. It’s also very isolated from the rest of the world; not only based on the distance, but there’s a time difference of more than 12 hours between Australia and Canada, so communicating with friends and family back home is difficult. In Australia, school starts in February instead of in September/October – so, I received an acceptance from them very late (in August), and had I gone there I would have had to postpone my studies for another 4-5 months. In terms of the actual program, it seems to the same standard as US/Canadian/UK schools, but there were other factors that deterred me from going there.